Taking care of your senior dog involves a lot more effort than taking care of a younger dog. Even puppies don’t require as much care and visits to your local South Coast veterinarian. Depending on the age, breed, and lifestyle of your dog, your veterinarian will set up a regular check-up schedule to stay on top of your furry friend’s health and make sure he is in good shape. Dental care for pets goes a long way toward extending your dog’s life as well. Ongoing treatments for illnesses and conditions can be obtained at Anchor Animal Hospital, including preventive medicine, pain therapy treatments, and veterinary ultrasound in Dartmouth. If you ever run into an urgent situation with your dog, regardless of his age, you can count on Anchor to be your local Dartmouth emergency vet as well. Young vs. Old: What’s Different? The first thing you will probably notice about your senior dog is that he might put on a little weight or that his level of activity may dwindle a bit. In any case, a change of diet is probably in order to meet your dog’s unique needs. Most of the major brands of dog food now carry a senior recipe formula that has all of the nutrition and calories required for your older dog. Make sure to discuss your dog’s needs with your South Coast veterinarian before choosing a new food to address any specific issues that might concern your dog’s health. 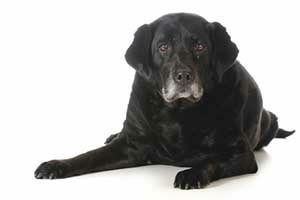 Dental care for pets is even more important in the senior years when dental disease and gingivitis can be more common. If this goes untreated, things like tooth loss and infection can become a big problem, affecting your dog’s overall health and longevity. Arthritis is also a standard issue for aging dogs, which can lead to pain, stiffness, and cause difficulty for walking, running, jumping, and climbing stairs. Your local vet can prescribe anti-inflammatory medications to help reduce stiffness and pain. No one likes to think about their pet getting old, but it’s a fact of life. However, the more you do in the way of providing quality care through regular check-ups, dental care for pets, and even diagnostic services, such as veterinary ultrasound in Dartmouth, the better you will be able to care for them when they need it. The earlier that some of these disorders and diseases can be diagnosed, the more successful it can be to treat them. If you suspect any of these conditions in your pet, bring them in for a check-up or to see the Dartmouth emergency vet at your local South Coast veterinarian’s office. If you have a senior dog or a dog that is about at the “senior” age range, make sure to schedule an appointment with your South Coast veterinarian for a check-up. Ask about dental care for pets and learn all you can about how changes in diet, increased veterinary visits, regular testing, such as veterinary ultrasound in Dartmouth, and preventive treatments can all help keep your family pet happy and healthy for many years to come. Give us a call at 508-996-3731 and speak with one of our friendly veterinary technicians about providing care to your senior dog.